Don't worry — she got it out. 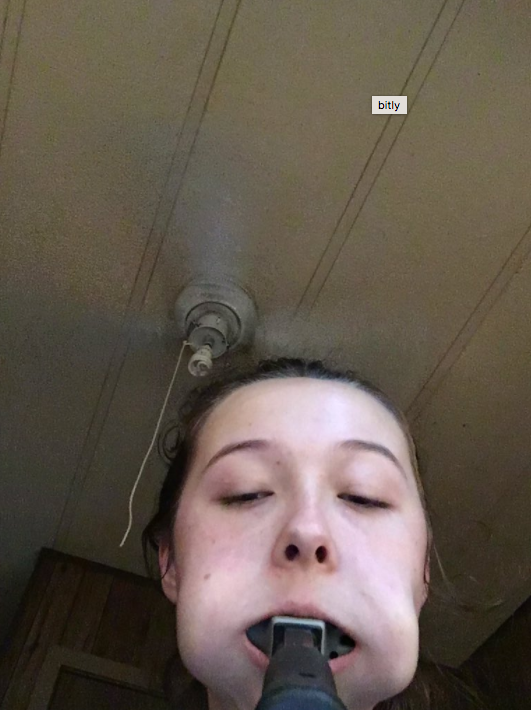 This is Kaley, a 14-year-old from Louisiana. Kaley told BuzzFeed News she was "a little hyper" on Tuesday while chatting with her friend about one of her favorite K-pop groups, BTS. "I was sending her pictures of one of them, [and] he’s good-looking," she said. "So I sent it and said, ‘He’s so beautiful I could shove a hammer in my mouth.’"
Her friend called her bluff. And that's when she said she realized it was stuck. "It was a little too big to fit in my mouth in the first place, but getting it out was even more of a problem," Kaley said. Fortunately, after about 10 minutes of finagling, she said she was able to get it out. But it was too late. She'd already tweeted about it. And no one knew exactly how to feel about this. And suggestions for how she could tell her mom. "There are ways to channel your excitement, and shoving a hammer in your mouth probably isn’t the best," said Kaley (who admitted to putting the hammer back in her mouth a few times since to show her friends). And her mom is now "hiding the toolbox," said Kaley. 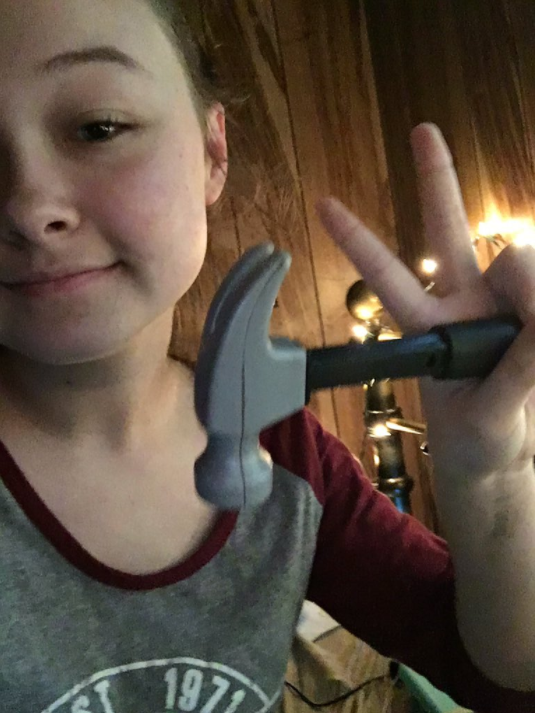 "I’m now going to be known as the Hammer Girl’s mother," Kaley's mom lamented to BuzzFeed News.